Brandy (from brandywine, derived from the Dutch brandewijn, "gebrande wijn" "burned wine) is a spirit produced by distilling wine. 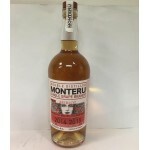 Brandy generally contains 35–60% alcohol by volume (70–120 US proof) and is typically taken as an after-dinner drink. Some brandies are aged in wooden casks, some are coloured with caramel colouring to imitate the effect of aging, and some brandies are produced using a combination of both aging and colouring. 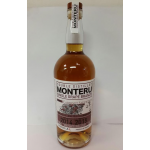 In broader sense, the term "brandy" also denotes liquors obtained from distillation of pomace (pomace brandy) or mash or wine of any other fruit (fruit brandy). These products are also named eaux-de-vie. 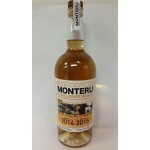 Varieties of wine brandy can be found across the winemaking world. 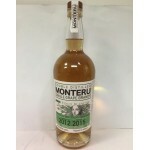 Among the most renowned are Cognac and Armagnac from Southwestern France. 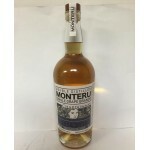 The Monteru Single Grape Brandy has four varieties; Chardonnay, Sauvignon Blanc, Merlot and Caber..